Dispose of dull blades in a snap! Convenient detachable blade snapper/disposable container holds 16 blade segments. Features heavy-duty stainless steel blade channel that holds blade tight, auto slide that locks securely with one hand, and forever guaranteed handle. 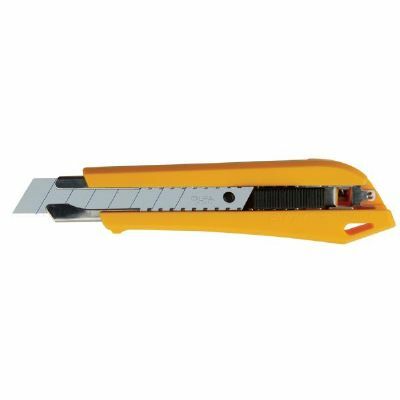 Perfect for cutting all types of material including gator board, foam core, corrugated plastic, and expanded PVC. Uses Olfa LB and LBB blades.